Welcome to Forest Meadows. We have an optimized screen reader version of this site available. 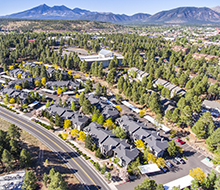 Forest Meadows is a beautiful tree-covered boutique apartment community in West Flagstaff that you can truly call home. We are independently owned and operated and try to do things a little different here. 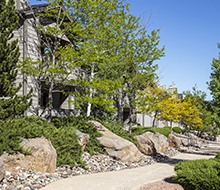 Our friendly staff knows all of our residents and always has a smile to share whether you are stopping by to say Hi, work out in the fitness center, hang out in the clubhouse or have a BBQ at our patio. Our one and two bedroom apartments are very spacious with walk in closets and full size washer and dryers in each unit. Every apartment has private patios or balconies with storage and a covered parking space. 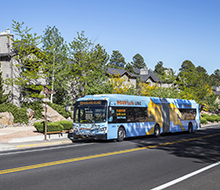 Located less than a mile to NAU, Forest Meadows is a place for everyone. Smoking is not permitted anywhere and we have security to enforce quiet hours. 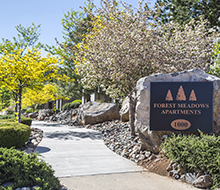 Come enjoy the fresh air and quiet at our smoke-free community!